When it comes to gluten-free pastas…I’ve pretty much tried them all. Made with beans, made with rice, made with corn, made with lentils, made with potato…yeah…there is very little about gluten-free pasta that I haven’t tried. Sure, there are some brands that I still need to explore…but my budget says “NO” for the moment, as they are quite pricey. However, some pricier gluten-free pastas are worth it. I discovered BiAglut while at a Gluten Free Expo in Carmel, Indiana about three years ago. I was a newbie to the gluten-free world and this nice couple had a booth and totally won me over on this pasta. Seriously…they sold me from first bite. I was in love. Problem…BiAglut is not available in any stores around my area. BOOOOO!! I have since found it twice…once at foodie heaven (aka: Jungle Jim’s) up in Cincinnati and also at The Raisin Rack in Columbus, Ohio. None of which are technically near me, but they are places I visit…and therefore, if the budget has some wiggle room, I can splurge a little on pasta. Because…I have always been and will always be a lover of pasta. Even if it is gluten-free pasta. That being said…no one would ever guess the Tagliatelle (or any other gluten-free pasta made by BiAglut) is gluten-free if you didn’t tell them. It is some of the most fantastic gluten-free pasta on the market. Why? Because it is 100% Italian. Produced in Italy and made by Italians. The company began in 1964, wanting to fulfill the needs of main customers and individuals with Celiac disease and gluten intolerance, who needed to follow a gluten-free diet. The brand offers a unique and full line of gluten-free products ranging from pasta to breads and bread substitutes, flours, cookies, crackers, snacks and desserts. Fifty years later…still going strong and still producing high quality products for the gluten-free communities. So…back to me being a lover of pasta. I hate pasta that turns to mush after it is cooked. I hate pasta that doesn’t taste like pasta. And when you do gluten-free…it is hard to find one that really satisfies everything you used to love about regular pasta (if you were ever lucky enough to have that…and I was). Enter BiAglut. Seriously…there is no comparison out there on the market. I have yet to have a gluten-free pasta best this one. And while I have had a few different varieties of BiAglut pasta…last night, I cooked up the Tagliatelle in a low fat and low calorie cauliflower alfredo sauce. And it was amazing. This pasta is not only hearty and delicious, it is also easy to prepare. 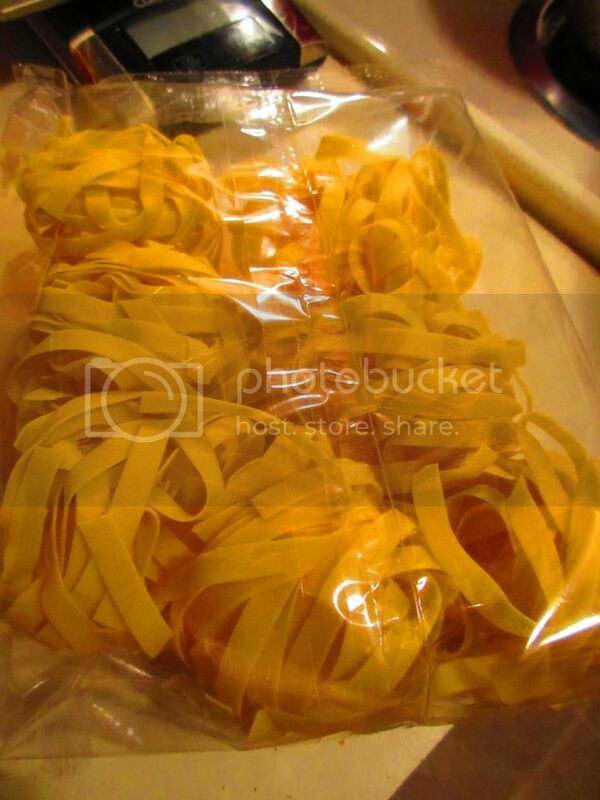 The BiAglut Pasta Mia Tagliatelle comes in nests. There are 7 nests to a package. A serving is 2 nests. I find that to be a lot of pasta so, my roommate and I split three nets between the two of us. It was perfect. And prep is simple. Boil water with salt and drop in the nests of pasta for about 6-8 minutes. Then…BAM…done. Noodles are cooked to a perfect al dente. Then I just warmed up the alfredo I made from fresh cauliflower…stirred in the noodles and dinner is served. LOVE. So much love!! The noodles hold up, even to a “creamy” sauce. They don’t turn to mush and they stay in the long, thick ribbons that they are supposed to be. In other words…pasta perfection. These noodles were the perfect compliment to the creamy and healthy alfredo that I made. And it made for a balanced and delicious and filling dinner in the end. So much love for these noodles. Easy to prepare. Perfect in the dish. I can’t say enough good things. Every time I revisit BiAglut for a pasta noodle, I continue to remember why I am willing to overspend my budget for their noodles. Amazing…every time. Let’s talk ingredients! 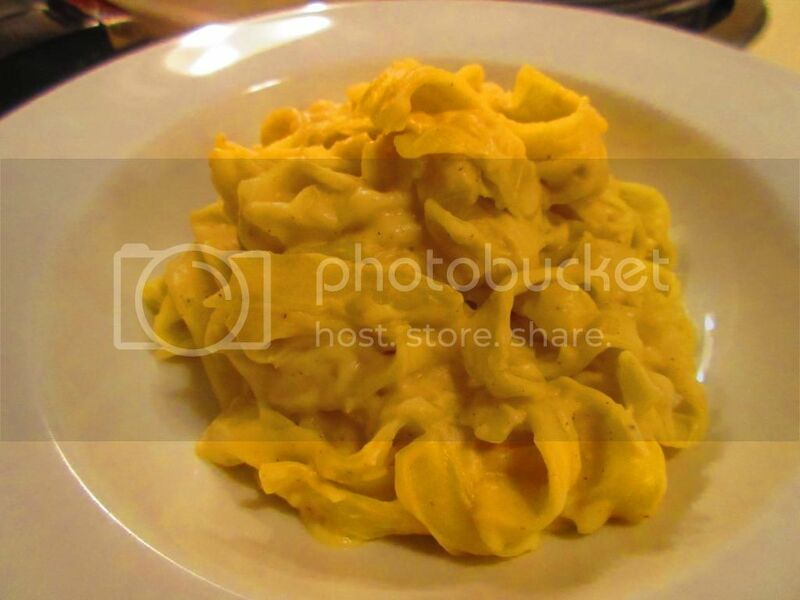 The BiAglut Pasta Mia Tagliatelle is made from cornstarch, tapioca starch, eggs, milk proteins, carrot pulp, carob seed flour, and salt. That’s it. Love it. It is gluten-free and wheat free. As for nutrition, this pasta is amazing. A serving size is 2 nests of noodles. This serving gives you 250 calories and 2 grams of fat. This serving will also provide you with 100 mg cholesterol, 160 mg sodium, and 1 gram of sugar. One serving will also dish up 2 grams of fiber and 8 amazing grams of protein. I told you…it doesn’t look like a lot…but it will fill you up. 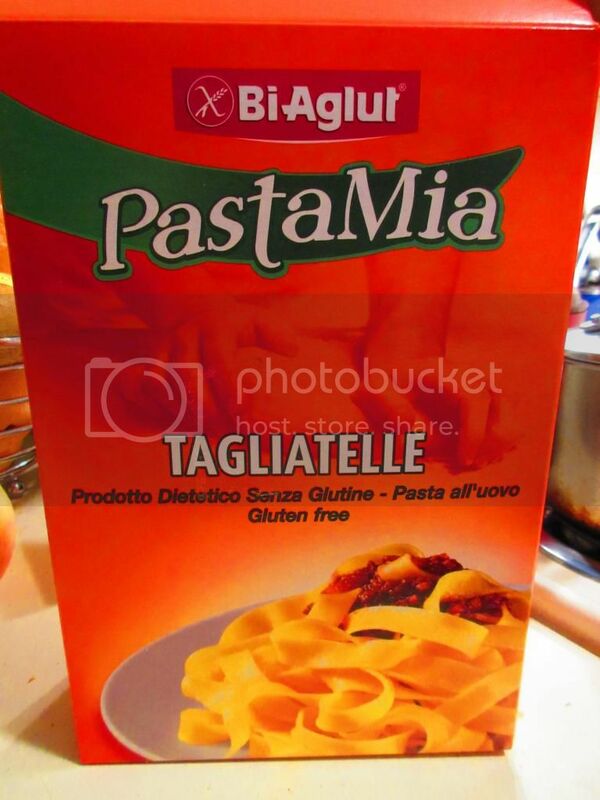 Whenever it comes to making room in the pantry for a gluten-free pasta, it will always be BiAglut Pasta Mia for me. A new favorite…the Tagliatelle. I’m hooked. And I am loving it. This entry was posted in Clean Eating, Entree, Food, Gluten-Free, Italian, Pasta, Products, Review, Sauce, Vegetables, Vegetarian by The Celiathlete. Bookmark the permalink.